I have so many fun memories of halloween as a kid. Carving pumpkins and my mom and brother roasting the seeds (I wouldn't eat them for some reason). Trick or treating, eating candy for weeks after. And my the hilarious halloween costumes my mom thought up for my brother and I. This though, takes the cake, or should I say cookie (sorry, had to). 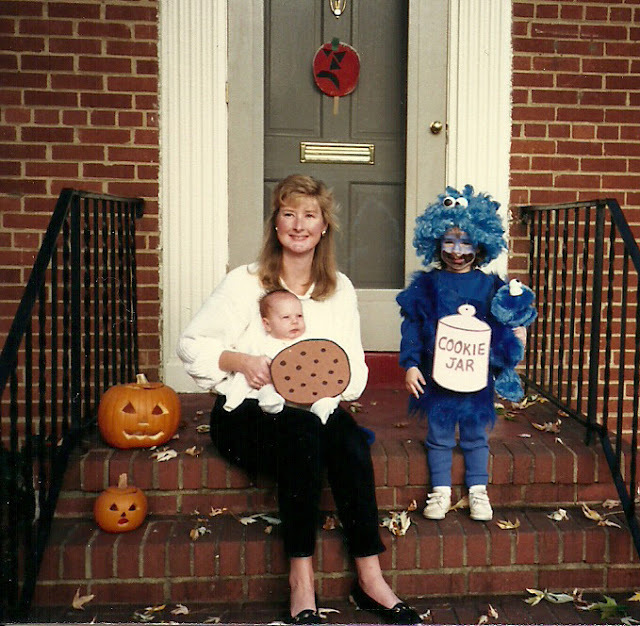 Jake was 3 months old and he was the cookie. I was the cookie monster. Love it. What are you being this year, any fun ideas out there? My friends and I are going as different Metro stops (I'm King St. and will wear a crown and cape). This is probably one of the best things I have ever seen in my life.